Design Like Whoa has been one of the Bay Areas hottest underground T-Shirt print and design shops since 2012 and run by Gemma Rose. They've moved into a sweet warehouse space and would love to enjoy the space with you in it. Co-Host of the event is Ende Collective, one of San Francisco's most striking jewelry brands created by artist Krista Gambrel. Their bold and beautiful sterling silver and gold jewelry inspires women all over the world to be awesome. We invite you to join Design Like Whoa + Ende Collective for a happy hour DJ set with DJ Jordan. 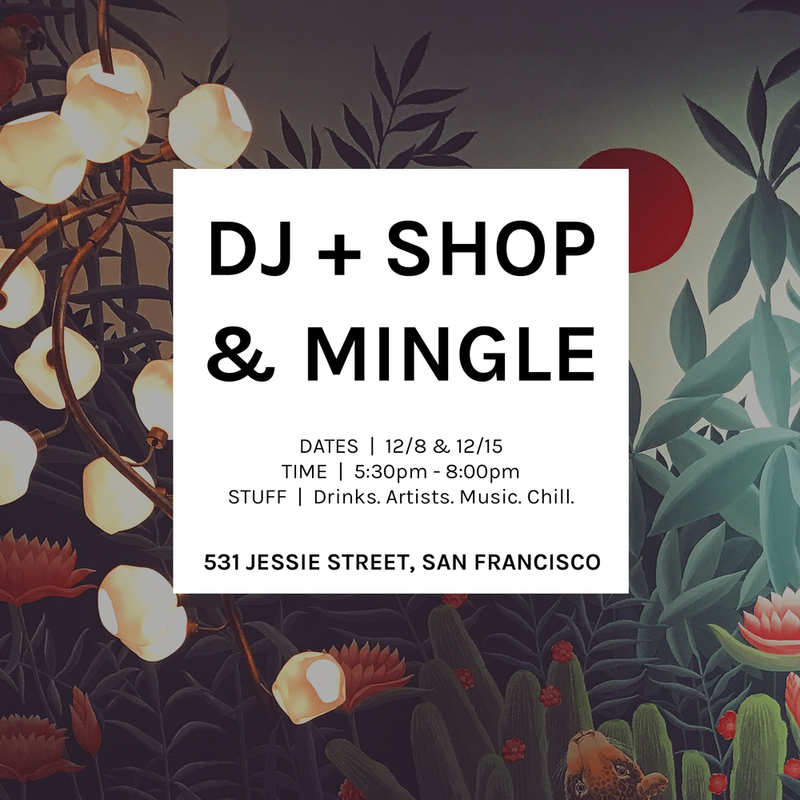 Free drinks and good vibes included in your $5 entry pass, and because we love you and want to help you multitask while sipping Sancerre and Syrah, we'll be selling holiday prints and jewels with free gift wrapping available. Tickets avail through Eventbrite. We'll be waiting for you to join right from work between 5:30pm - 8:00pm-ish. Consecutive dates for the event will be Friday December 8th & Friday December 15th.